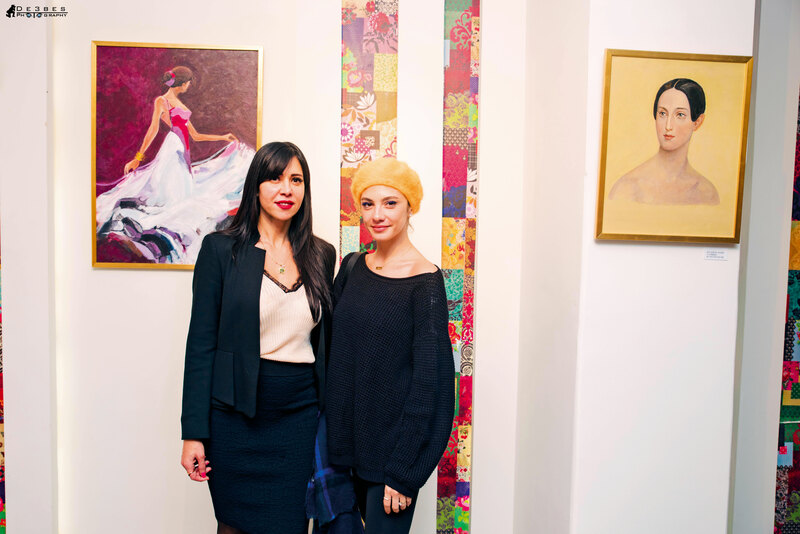 Mazaj, a new art gallery with a transformative mission recently opened its doors in Cairo’s trendy Zamalek neighbourhood. The gallery is reaching out to up-and-coming Egyptian artists by providing them with a space where they can freely exhibit their art. The founder and visionary behind the project is businessman Omar Islam, Chairman of International Trading & Aviation Consultants Group (ITC), who owns several successful ventures, including The Coffee Bean & Tea Leaf franchise in Egypt, and who is currently working on an e-commerce platform called Presto. Islam’s enthusiasm for this art project came naturally. For a long time, the art scene has been a field literally close to home. 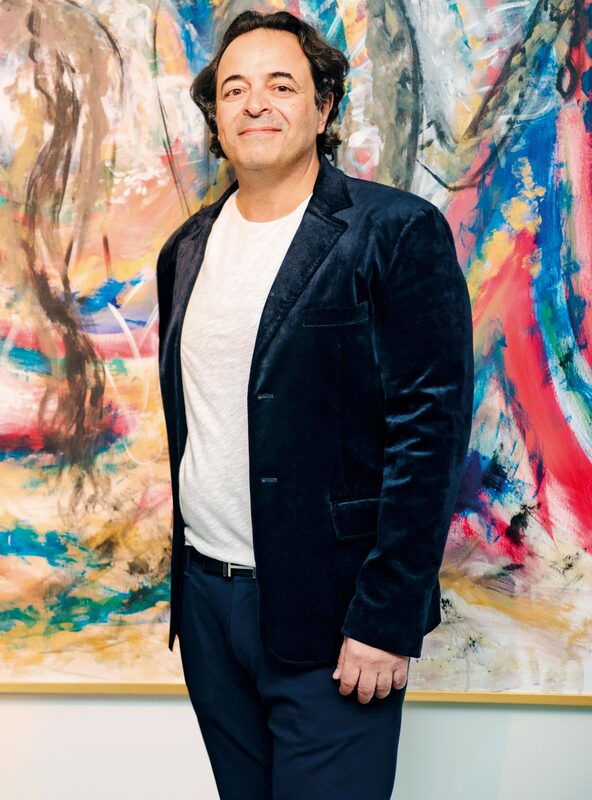 Besides his own personal appreciation for the arts, his wife, Janan Shihadeh, is a serious artist with a successful career. 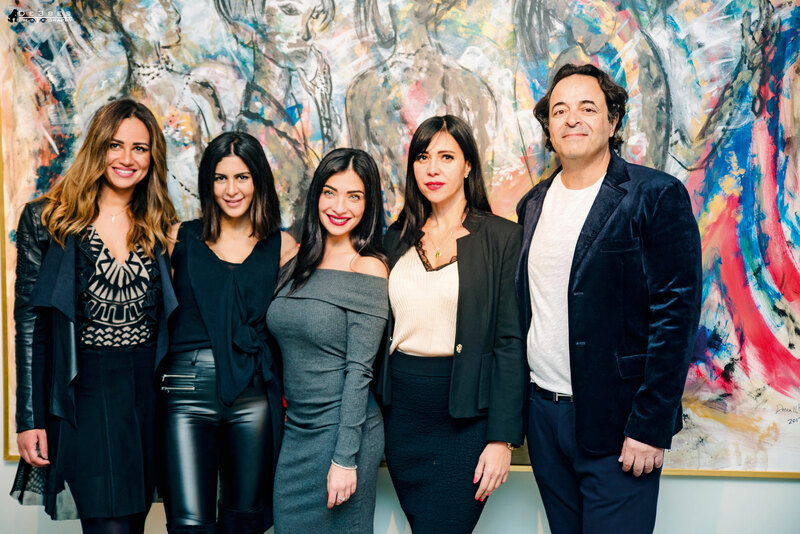 Her résumé as a versatile painter runs far and wide, and she was recently chosen by Mercedes-Benz to add her creative spin on the luxurious G-Class for the ‘She’s Mercedes’ initiative, a global program aimed at empowering female drivers. “We have a big studio in our house for Janan and everyone in our household is interested in art. Our children, Taya and Samo, don’t have video games or watch TV and are always in the studio. We are avid art collectors and I am surrounded by art in my life,” he explains. Islam is proud of the diversity of his personal art collection, and wants to extend that to Mazaj, where he hopes to provide exposure, not only different artists, but a wide variety of art forms. “We want to exhibit all types of artists. If you’re a painter, you’re welcome; if you’re a sculptor, you’re welcome too. The whole idea is to give a chance to other people to believe in their art,” he exclaims. Islam is even open to the idea of exhibiting street art, fashion, and even graphic arts. “The idea behind Mazaj is to discover people who otherwise have no chance of being known- those who can’t afford to promote themselves. We are going to help them and promote them by inviting people to see their art,” he adds. Islam is not just a detached benefactor giving new artists a helping hand. He’s made a personal investment in the exhibitors by purchasing a piece of artwork from each of the artists showing in the opening of Mazaj. “I am in love with these young, rising artists. They’re what I am going to invest in now,” he proudly insists. The fact that 80-90% of the paintings were sold on opening night, is a testament to the quality of their art and a validation of Islam’s belief in their potential over the long term. According to Islam’s plan, Mazaj will also have a competitive edge over other galleries in Cairo with its inclusion of a bar and bistro on the premises. “When you go to an art gallery you only stay for 10 to 15 minutes. To prolong your stay we thought of including a bistro and bar to make the overall experience more fun,” says Islam. This comes as a logical step, given that Mazaj is located right next to Islam’s thriving business venture, Coffee Bean and Tea Leaf. Clients will be able to enter Mazaj through the coffee shop, as well as through the gallery’s main entrance. That way the gallery will also be drawing traffic from the coffee shop’s clientele, making for an easy integration. Islam’s ambitions do not stop at shaking up the Egyptian art scene, however. 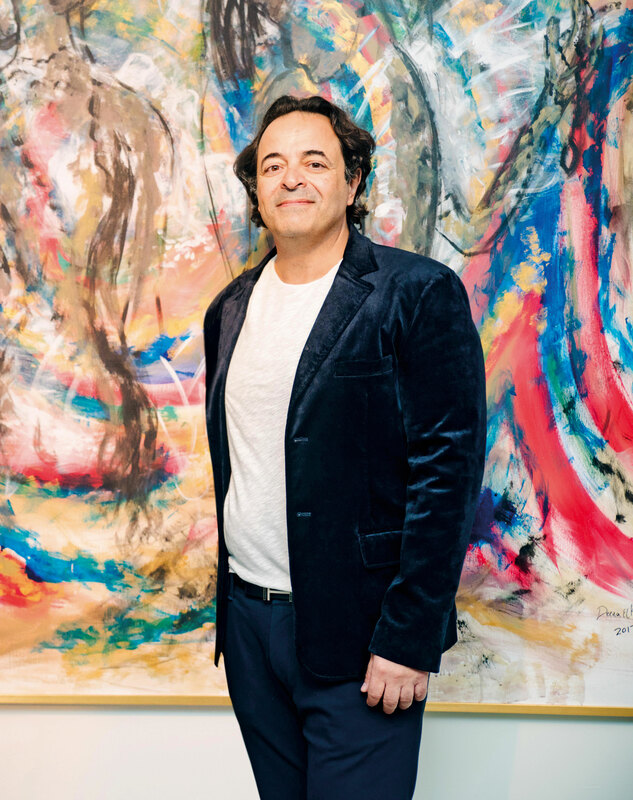 He intends to transform the art scene throughout the Middle East, no less. 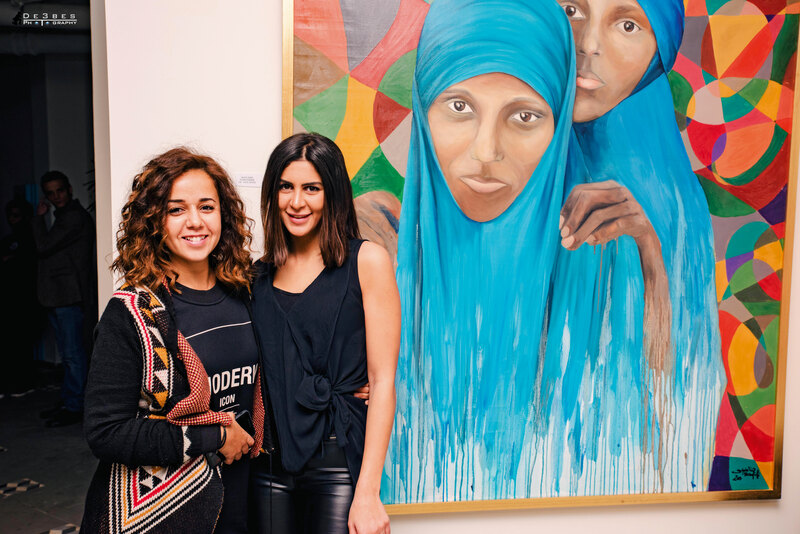 “We want to create an art foundation for Middle Eastern artists, not only those in Egypt. We are now actually working on an app that would allow someone who lives in Iraq or Syria, or anywhere in the Middle East, to show us their artwork; and we can try to help them, to support them throughout the region,” explains Islam. Although a seemingly ambitious plan, Islam is obviously the right man for the task. With his numerous international connections, including with prestigious galleries around the world, from Dubai all the way to Geneva and even New York City, Islam’s plan has a credible chance to become an actualised reality soon. Islam finds that the current regional political turmoil, as well as the prevalent false western stereotypes about the Middle East, make a space such as Mazaj very valuable in changing the image of our region. “I want to show Middle Easterners in a different light. We have great people, and we have great artists. I want to demonstrate that Arabs and Muslims are creative, that we have a lot of hip, cool and creative people. This is the whole intention,” he explains. For now, Islam is focused on building a strong foundation for Mazaj in order to achieve true, genuine change in the art scene. Judging by the energy of its opening and the interest it has elicited, he is definitely off to a good start. Islam’s business savvy and social connections, coupled with his genuine passion for the project, are sure to make Mazaj the talk of the town, and, if he has his way, eventually, the talk of the world as well.